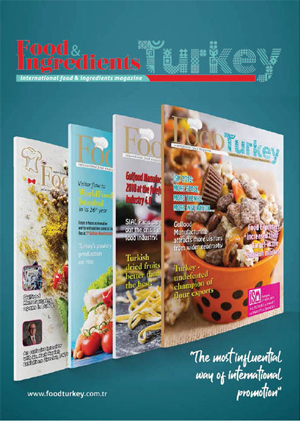 Gulfood Manufacturing featured over 1,100 suppliers who deliver world-class food and beverage processing industry solutions.Led by Selten Fair Services, Turkey has been one of the major national pavilions. Turkey was well represented at machinery/technology part at Zabeel Hall, and at ingredients halls, Sheikh Saeed Halls of Dubai Exhibition Center. Major food processing industry heavyweights from around the world have universally praised the inaugural edition of Gulfood Manufacturing, which debuted last November as Dubai World Trade Centre’s largest-ever trade show launch. A sector-specific spin-off of February’s annual Gulfood trade show, the three-day Gulfood Manufacturing hosted more than 1,100 companies from 56 countries – including 26 official country pavilions – and attracted 26,329 visitors from 156 countries. Turkey was well represented at machinery/technology part, which was at Zabeel Hall, and at ingredients halls, Sheikh Saeed Halls. Billed as the largest dedicated food processing trade event in the Middle East, Africa and South East Asia (MEASA), the runaway success of Gulfood Manufacturing has prompted a host of local, regional and international food processing authorities to laud the inaugural show – which ran over 50,000m² of DWTC exhibition space – as a tailor-made platform to drive investment in the regional food processing sector. Gulfood Manufacturing is professionally managed and hosted by the Dubai World Trade Centre (DWTC) which provides more than three decades of experience in delivering world-class events in the Middle East, featuring local, regional and international exhibitors with unmatched expertise and in-depth market knowledge. 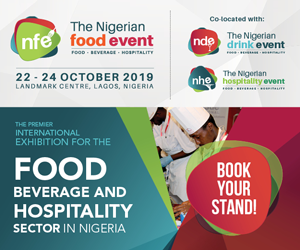 The extensive portfolio of leading trade and consumer brand events include Gulfood, SEAFEX, Sweets & Snacks Middle East, The Speciality Food Festival, GITEX Technology Week, and Dubai International Boat Show. Having provided a one-stop-shop for regional food processors to source the latest ingredients, processing machinery, packaging equipment and logistics, warehousing and cold chain solutions to enable faster, cheaper and cost-effective production of safer and more reliable products, Gulfood Manufacturing was praised for bringing the very best of cutting-edge, international business improvement solutions to Dubai. Having welcomed leading machinery and equipment providers from every corner of the world, hundreds of exhibitors reported sales comfortably exceeded their expectations. In addition to Chinese firm Foshan Choctaek Machinery Mould Ltd. receiving four regional orders for complete production lines at an estimated cost of US$800,000 (AED 2.94 million), Claranor – a French company providing packaging sterilisation solutions for the beverage and dairy industries – closed a lucrative deal with Masafi Oman to install and integrate flat cap sterilizer machines to ensure safe and clean bottled products. Elsewhere, UK-based T Freemantle Ltd. reported sales of more than £200,000 (AED 1.5 million) over the show’s opening two days. As one of 38 companies participating under the UK’s Processing and Packaging Machinery Association (PPMA) group, David Harrison, the PPMA’s Commercial and International Manager, said T Freemantle Limited’s sales were not the exception. With GCC food imports forecast to reach US $ 53.1 billion by 2020 according to a report by the Economist Intelligence Unit, officials from DWTC, the show organizer, maintain Gulfood Manufacturing is perfectly-positioned to leverage Dubai’s strategic position as the recognized manufacturing and logistics gateway between East and West and the primary re-export hub to emerging countries and economies across MEASA. The next edition of Gulfood Manufacturing will be held 27-29 October 2015.